The estimated 49 daily visitors, each view 4.00 pages on average. 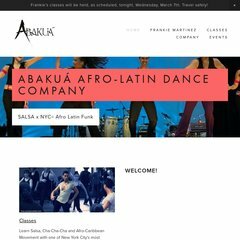 Abakuadancers.org's IP address is 66.96.160.134. There are 2 Nameservers, ns2.netfirms.com, and ns1.netfirms.com. The Endurance International Group Inc (Massachusetts, Burlington) is the location of the Nginx server. PING www. (66.96.160.134) 56(84) bytes of data.